Mark Sloat’s career in animal welfare began in 1985 when he took on the operation of a small non-profit rural dog rescue, which he oversaw for 24 years. He also worked as a contract animal control officer for a rural county in Minnesota for 11 of those years. During that time, he learned the value of returning pets to their families. By keeping them together, he had the opportunity to help the owners better care for and appreciate their pets. Mark has now been employed by Austin Animal Services for five years. He started as ACO in the Animal Protection unit and eventually moved up to program manager. 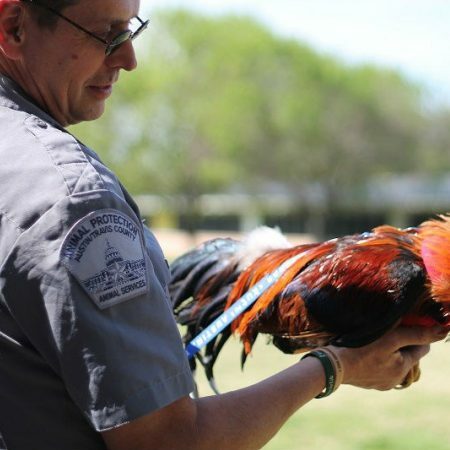 During his time at Austin Animal Services, he's seen the shifting focus from an enforcement-driven model to a community-support model. The animal protection officers now focus on working with families and their pets and on retention. Through this model, overall intake has reduced due to programs such as neighborhood ID, free microchipping, fireworks awareness, and a focus on Return to Owners in the field. One particular achievement is that AAS now microchips in the field. Mark truly believes that the future of saving the lives of pets is to stop the cycle of pet replacement – and Animal Protection can be the most productive tool in that effort. Austin’s Animal Protection team helps keep Austin No Kill. How? Through a proactive engagement-based approach that redefines animals “in need,” values the human-animal bond and engages community members, shelter staff, and volunteers in solving for animals’ needs together.